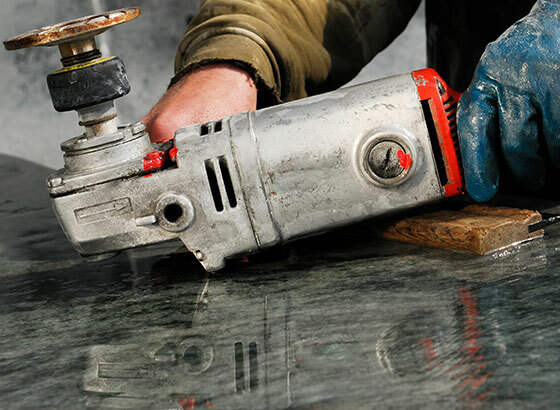 Innovation Stone is located in Chelsea, MA with over 10 years of experience. Innovation Stone is a family based business with a team of highly experienced professionals for your custom fabrication and installation services. No matter what your project may be, our staff can help answer any questions you may have and work one on one with you to create a durable and visually stunning piece for your home or office. We guarantee you'll be completely satisfied with our services, quality, and professionalism. We are trusted by our customers, and our major advertising for many years has been word of mouth exposure and customer referrals. We treat every project as if it's going to our own home. Our goal is to provide the best customer service along with reasonable pricing and prompt installation. We specialize in fabrication of countertops, vanities, fireplaces, custom made tabletops, flooring, and various stone for building facades. All work is done on our premises by our highly skilled stone fabricators.